Crossroads Environmental, LLC consists of a team of licensed Asbestos Inspectors, Management Planners, Project Designers, and Air Monitors. Our asbestos services are tailored to fit the needs of our clients. We can perform small jobs such as limited sampling of a specific material to determine asbestos content, to providing turnkey consulting servicesfor large asbestos and demolition projects. This turnkey service would include bulk sampling of the building materials, writing the specifications for abatement or abatement/demolition, soliciting bids from reputable contractors, air monitoring, project management/oversight, and project documentation review. Some clients prefer to do as much as possible on their own, while others prefer to say, "can you handle this for us?" We can handle all aspects of a project, beginning with assistance in budgeting. Crossroads Environmental, LLC has EPA Accredited Lead Inspectors and Risk Assessors to perform work in buildings considered to be "child-occupied", as well as trained technicians to perform lead testing in non-child-occupied facilities. We have an in-house XRF device which can give instantaneous lead results. XRF testing is more reliable than swabs, doesn’t cause damage to the paint, doesn’t require submitting samples to a lab for analysis, and all layers are tested. If you are unsure as to what regulations apply to the building that you are working in, and/or are concerned about occupant or employee exposure during renovation activities, Crossroads Environmental, LLC can assist. For more information on this issue, go to the resources page of our website, and the article titled "Lead-Based Paint in Public or Commercial Buildings". Crossroads Environmental, LLC’s competent and conscientious Industrial Hygiene Technicians work under the direction of Certified Professionals to keep your employees safe and protect you from liabilities associated with workplace hazards such as noise, particulates, volatile organic compounds (VOC’s), chemicals, vibration, heat stress, etc. We can perform an assessment of the facility and operations to help you address your specific needs, and are equipped to perform personnel and/or area monitoring. Indoor air quality encompasses a wide range of environmental factors, but is generally associated with mold. A typical indoor air quality investigation includes a thorough investigation of the building or portions of the building (based on request) as well as of the HVAC system. When visible mold is not apparent, air samples are collected to determine type and amount of airborne mold spores. Mold can be detected by means of air sampling even if mold is hidden behind walls, etc. Following an investigation, a report is submitted to the client with recommendations for remediation, if necessary. Crossroads Environmental, LLC does not perform remediation, as we consider it a conflict of interest, but can assist you with selecting a professional contractor to best fit your needs. Other indoor air quality issues include various allergens, particulates, and volatile organic compounds (VOC’s). Crossroads Environmental, LLC has Certified Indoor Air Quality Professionals that assess the potential for indoor contaminants and perform the appropriate testing to determine if there is an issue that needs to be addressed. LEED EQ Credit 3.2 can be obtained by means of air contaminant testing. Crossroads Environmental’s Certified Indoor Air Quality Professionals perform this testing using protocols consistent with the United States Environmental Protection Agency Comendium of Methods for the Determination of Air Pollutants in Indoor Air. 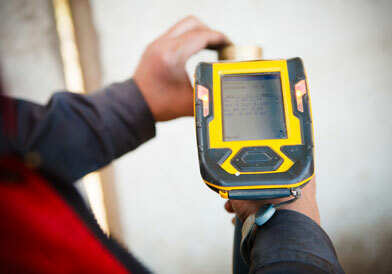 Crossroads Environmental, LLC performs dust monitoring, upon request, during demolition or renovation activities. Dust monitoring can be performed remotely by using a cloud telemetry system to alert the Crossroads’ technician immediately upon exceedance of a set level so that work can be stopped immediately until additional dust control measures are taken. Crossroads Environmental, LLC performs Phase I Environmental Site Assessments in Compliance with ASTM Standard E 1527-13 and EPA 40 CFR 312 Standards and Practices for All Appropriate Inquiries; Final Rule. Our Phase I Environmental Site Assessments are performed by experienced Environmental Professionals, and are performed within the client’s requested timeframe.